For those who love urban tracks as well as dirty roads, “Tracky” is the perfect accessory kit: aluminum footpegs, bullbar, chain guard, side stand enlargement. All the right ingredients for the urban explorer. 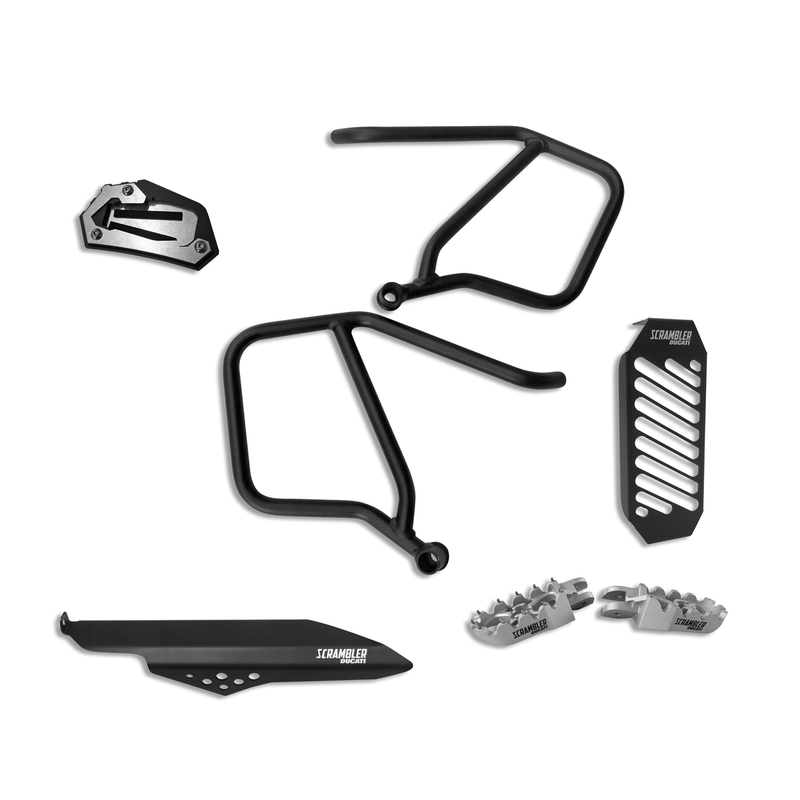 The kit contains: aluminum footpegs, bullbar, chain guard, side stand enlargement.